What can you achieve with PYBOSSA? 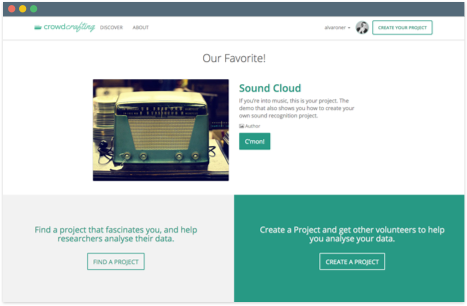 Crowdcrafting is Scifabric’s user-friendly open-source platform that allows users to create projects where volunteers help to analyze research data. Anyone from universities, research facilities, professionals, to community members are able to create and/or participate in projects hosted on Crowdcrafting. The platform hosts more than 350 citizen science projects! The British Museum and University College London have built a PYBOSSA-powered platform that invites members of the public to become citizen archeologists. The Micropasts project aims to create the world’s leading prehistoric metal database and change the way we research our collective past. It seeks contributions to help create 3D models of some of the British Museum's vast collection of Bronze Age artefacts using a process known as photomasking, and to transcribe their associated paper records and identify their sites of discovery. 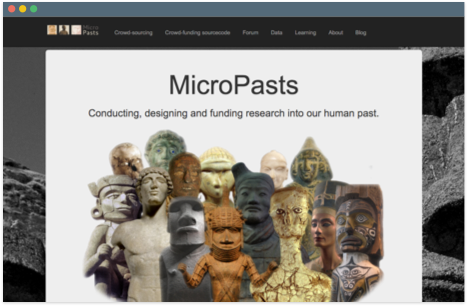 The Micropasts team have created over 100 archival transcription, geo-referencing and photomasking projects, and is at the forefront of crowdsourcing humanitarian research. The British Library has created LibCrowds, a crowdsourcing project for transcribing library records. 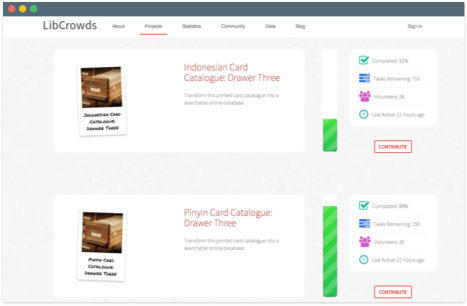 LibCrowds' maiden project – Convert-a-Card – uses PYBOSSA technology to ask volunteers to transcribe text from printed card catalogues into electronic records, making them available to a worldwide audience. The project is initially focused on the library’s Asian and African collections. Data identified, transcribed or translated as part of the project will be freely accessible from the British Library’s Explore catalogue. 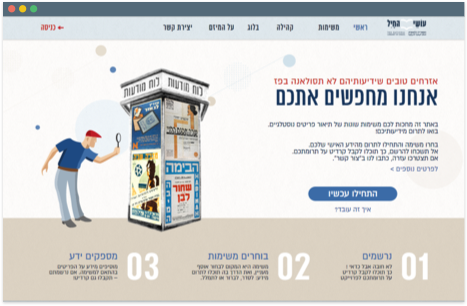 The National Library of Israel has constructed a new platform using PYBOSSA software with the aim of improving their metadata. They ask contributors to tag, transcribe and answer questions relating to historical Israeli documents. 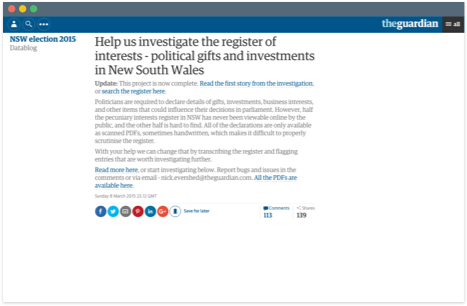 The Guardian newspaper wanted to bring increased transparency to the pecuniary interests of politicians in New South Wales (NSW), Australia. NSW politicians are required to declare gifts, investments, business interests, and other items that could influence their decision-making in Parliament in a pecuniary interests register. Some of these declarations are available to view online as scanned PDFs. Some are handwritten, so it is difficult for the register to be publicly scrutinised. The Guardian used PYBOSSA to transform human readable documents into machine readable documents, publishing a search interface and a data set in Github. Low and behold, some politicians were caught not declaring their interests. Power to the people! Open Oil is a Berlin-based publishing house working on transparency around extractive industries. One of its key aims is to make oil contracts more open, and they have used PYBOSSA to achieve this goal. 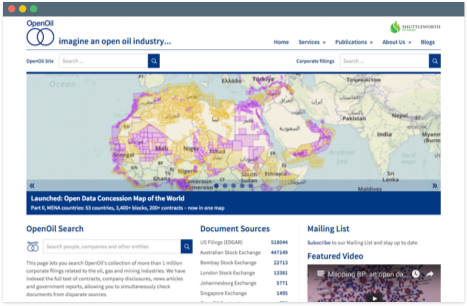 Open Oil has set up a project in Crowdcrafting to help analyse oil industry contracts. They ask contributors to identify the full legal name, abbreviation, jurisdiction and OpenCorporates ID in each contract. This helps them to untangle the dense web of intra-company corporate contracts that exists within some of the major oil companies. The Institute created the Rural Geolocator project in Crowdcrafting to ask the public to help identify 'potentially habitable dwellings' in thousands of satellite images (imported from Bing) of two African locations: Rusinga Island in Lake Victoria, Kenya and Majete Wildlife Reserve in Malawi. The institute could not use computer algorithms for this task but required the interpretation skills of the human brain. Field teams trying to stop the spread of Malaria need to deliver technologies and advice to indigenous populations to prevent them from contracting the disease. To deliver these tools, the teams need to know where people live. While they try their best to visit everyone, inevitably they miss some people out who, perhaps, live in remote areas which are difficult to access. 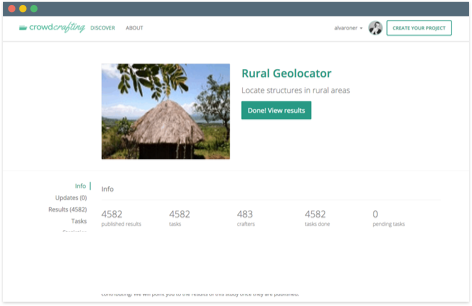 Rural Geolocator uses PYBOSSA's geo-coding facilities to ensure that field teams visit everyone in a particular district.